All you have to do is press on the colored box that is indicated in the spaceship’s window. It really shouldn’t be that hard. But in a new game called Up Up Rocket, it’s aggravating when you are trying to get your little ship into space, only to accidentally press the wrong color, exploding your rocket into a thousand little pieces. It’s just not fair. The goal of the game is to see how high up you can get your spaceship. 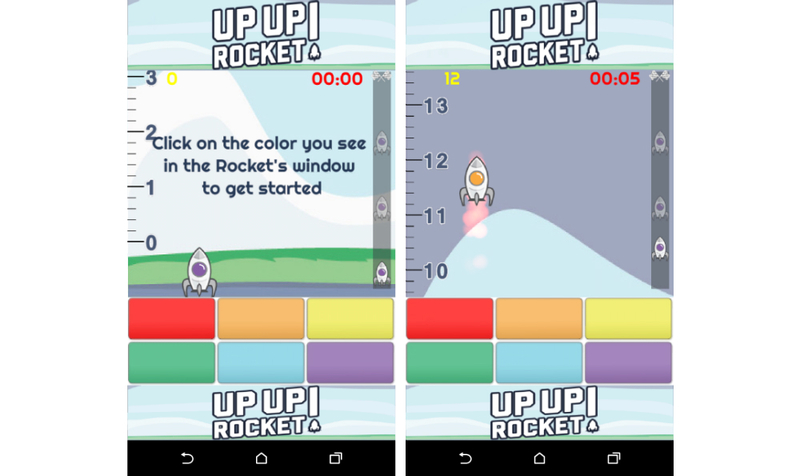 By pressing colored boxes at the bottom of the display, which are coordinated by the color in the spaceship’s window, you only have a few moments to keep your rocket powering on. In an extreme mode, the location of the colors keeps changing, adding even more of a challenge to the already difficult game. To top it off, once you make it to a certain altitude, another rocket appears, instantly disorienting your mind as to which ship you should focus on. It’s rough being a rocket pilot these days. To try it out for yourself, download the game for free right through Google Play.